As pleasant as your boat can be, let's face it: boats have embarrassing odors. Diesel, bilge, heads and more can quickly reduce a glamorous vessel into a boat no one wants to board. For the ultimate in boat odor elimination, Puget Sound area boat owners can get their boats deodorized with PureAyre. Call to learn more about this comprehensive service for a truly odor-free boat! Before now, your choices for dealing with stinky boat odors were dangerous chemical products, investing in an air purifier, or paying for a pricey detailing. And while cleaning, filtering and detailing can help for a while, smells come back because you didn't eliminate the source of the odor. A boat can look great and smell awful. Now you can save money on detailing and get rid of all those chemical-based cleaning products that only do a partial job. You can eliminate boat odors with just one product. It's effective, it's fast, and it's safe. It's PureAyre Marine Formula. PureAyre Marine Formula is the only product you need to safely and permanently eliminate boat odors. It breaks down the source of boat odors, saving you time and money spent on products and detailing, and protecting your lungs from dangerous fumes. Put a bottle of PureAyre in the head and galley for intermittent use. 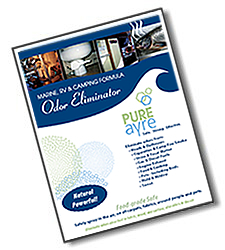 Use PureAyre for permanent odor removal in the air and on curtains, carpets, cushions and other absorbent surfaces on your boat. Use PureAyre in your boat’s engine bay to find diesel, gas, and other fuel leaks by getting rid of the surrounding smells so you can isolate the source of an odor. Planning to sell your boat? PureAyre Marine Formula for boats helps you eliminate boat odors for a higher price and a faster sale. Use PureAyre for boats as a diagnostic tool to isolate and identify the source of odors, so you can fix problems before selling your boat. Cleaning and detailing keep your boat ship shape in appearance. But for a clean smell, you've got to eliminate the source of odors, too. PureAyre Marine Formula is your passport to a boat that smells as clean as it looks. One complication from boat odors: it can be hard to track down the source of a nasty smell when your boat has several odors competing for your nasal notice. Use PureAyre Marine Formula to eliminate everyday odors and isolate the source of a serious and persistent problem, like a fuel or holding tank leak. We are your boat odor experts. If you have a boat odor problem you can't solve, contact us. 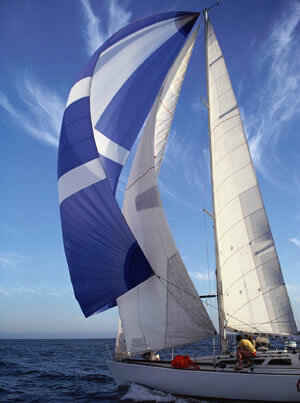 We can help you with boat odor prevention, elimination and even diagnostic issues. For proof of the power of PureAyre Marine Formula, read our case study about the rescue of a party boat. If you're a retailer and you'd like to offer PureAyre to your boating customers, see the reseller information. To buy PureAyre Marine Formula in larger quantities for detailing or maintenance use, just call us at 877-PureAyre (877-787-3297).